Looking to run a larger sidewall drag radial or slick on your R35 GT-R but don’t want to alter the pick-up points throwing off the factory suspension geometry? 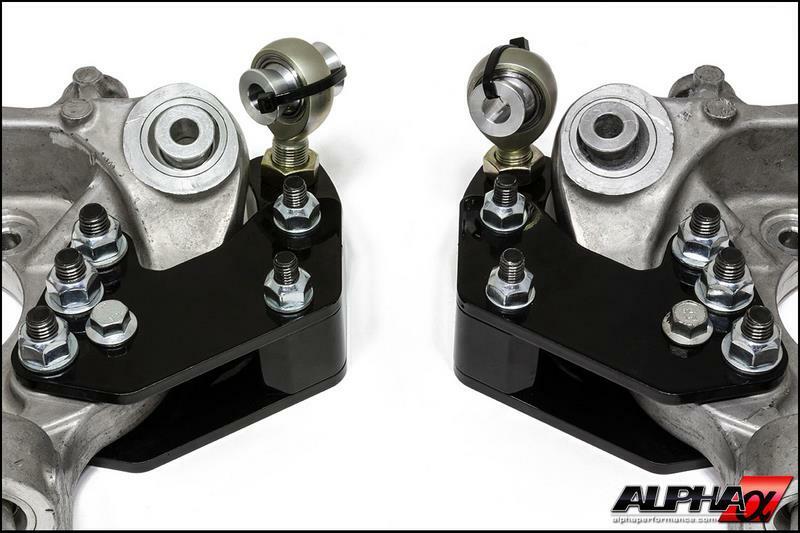 The Alpha Knuckle Conversion Kit for 15” Drag Wheels is what you’re looking for! 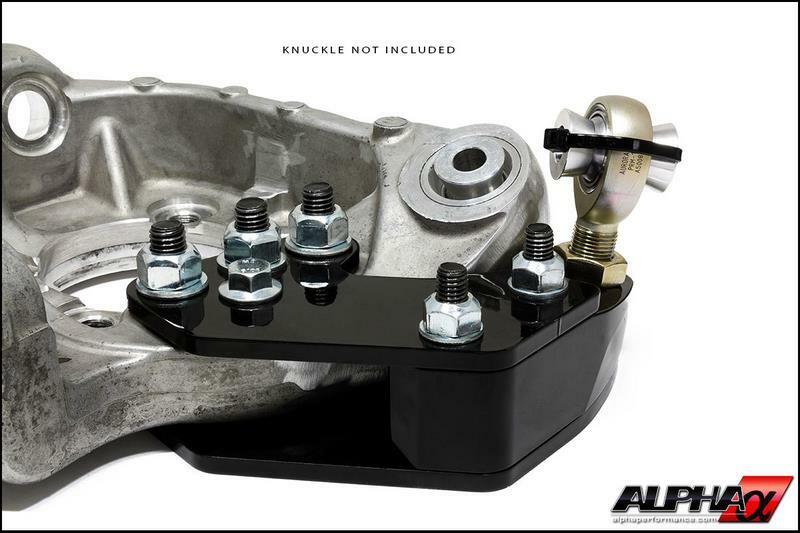 The Alpha Performance Knuckle Conversion Kit uses machined hardened steel brackets with motorsport quality Aurora end links allowing a 15” drag wheel/slick to fit when combined with a drag brake kit. 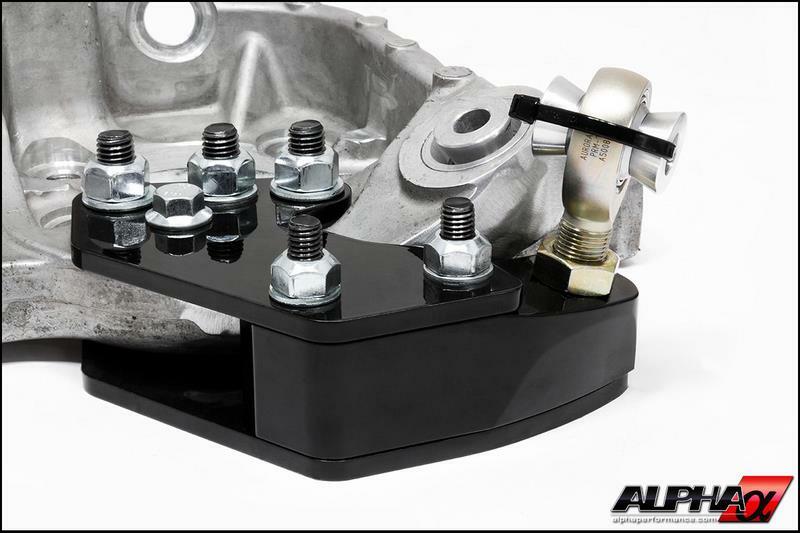 Careful attention was given to the positioning of the new end links so the factory pick up point locations (geometry) remain the same when a 15” wheel/tire is used. 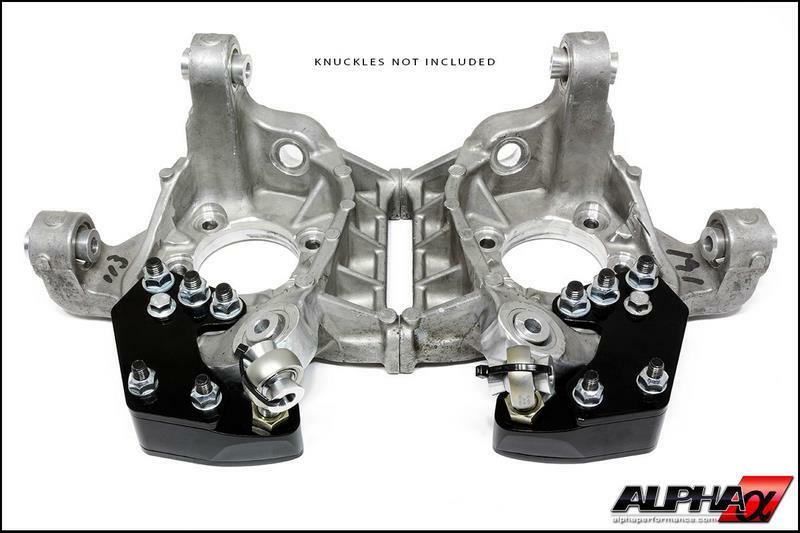 The Alpha Knuckle Conversion was designed to be loaded in double shear – exactly the way it came from the factory versus single sheer which provides only half the strength. 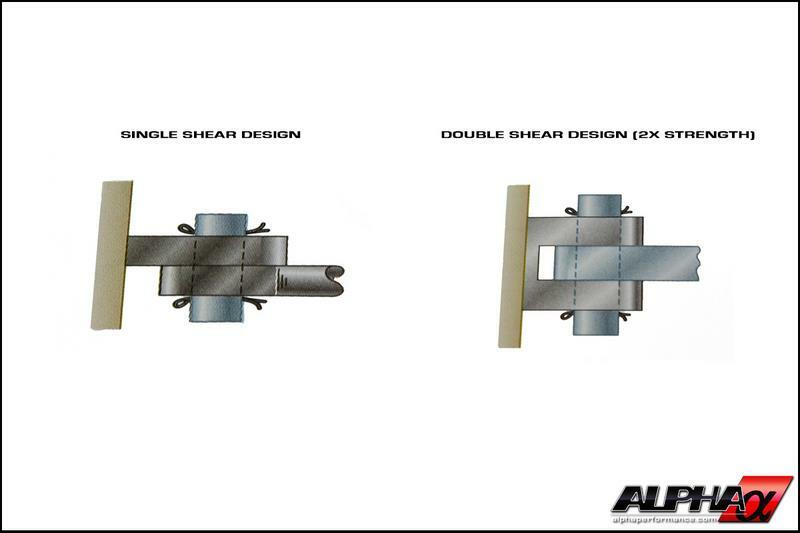 See illustration below for a visual example of single vs double shear. 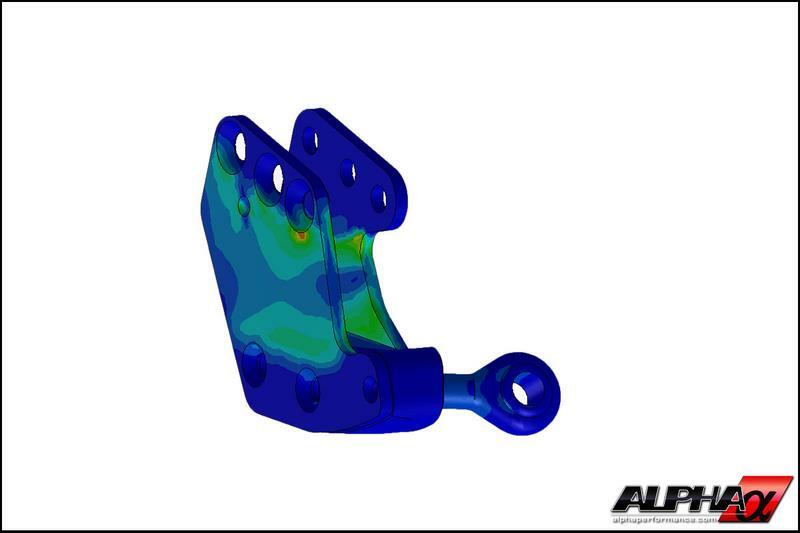 To confirm our system not only functions correctly, but is safe when used in a high speed/performance environment, the entire modified assembly was put through Finite Element Analysis (FEA) to make sure all components in the system were more than capable of handling any kind of abuse it might see in the real world. 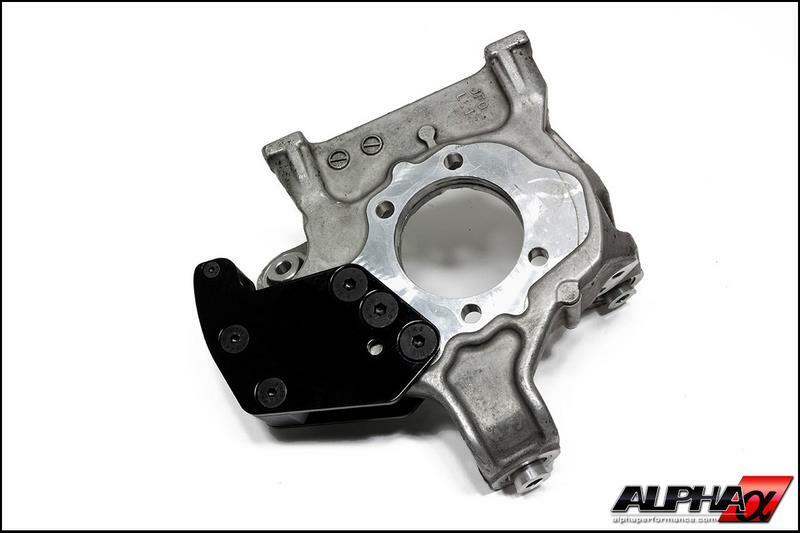 First articles were then installed on our shop GT-R, Alpha Omega for final testing. 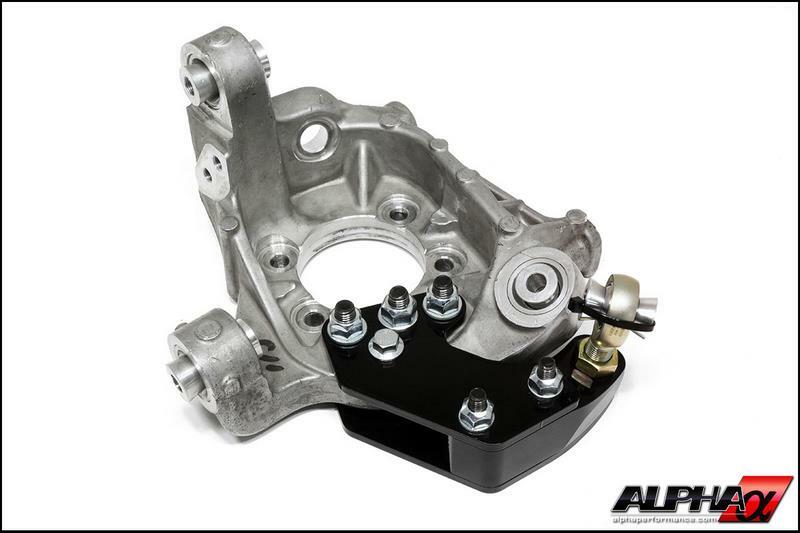 The Alpha 15” Drag Hub System was engineered to allow switching back to the factory size rotor and caliper making this the perfect upgrade for a weekend conversion for drag strip outings. 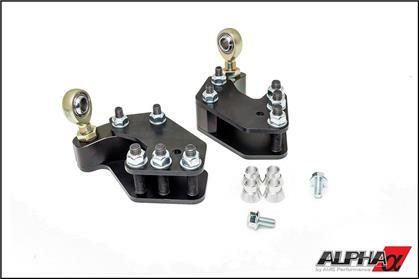 In addition, because our kit retains factory suspension geometry no alignment changes are needed.